(Boston, MA) – BOND, the Northeast’s premier full-service construction management and general contracting company, was recently chosen by Engineering News-Record New England for “Best Project: Higher Education/Research” at an Awards Breakfast held at the Seaport Hotel Boston. Harvard Business School’s Tata Hall contains 179 bedrooms with private baths, classroom space for almost 200 students, and offices and common areas for administrators and the HBS academic community. This much-needed classroom, housing and gathering space will extend the School’s portfolio of course offerings and accommodate the rising demand for Harvard’s executive programs. Currently, more than 9,000 worldwide leaders enroll in the HBS Executive Education programs. 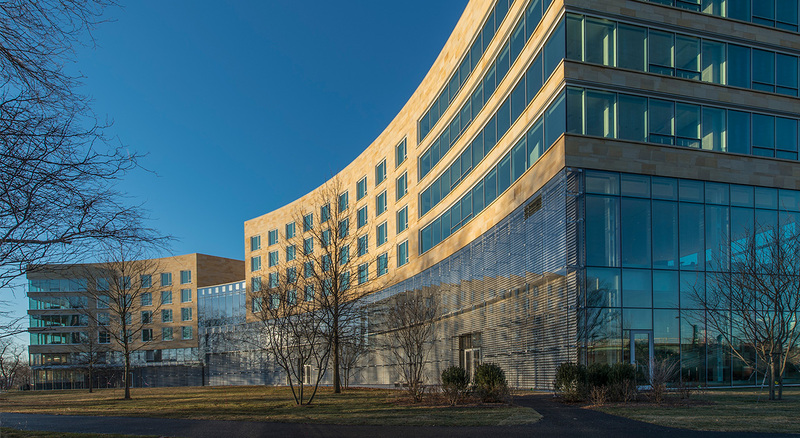 Designed by acclaimed architect William Rawn Associates, the building’s arc shape forms an open space facing the Charles River and the Boston skyline, creating a clean connection between the city and the school. Two glass walls maximize views and increase transparency between the campus and its surroundings. The ENR New England 2015 Best Projects competition selected top projects in Connecticut, Maine, Massachusetts, New Hampshire, Rhode Island and Vermont. An independent jury named 16 projects in 10 categories as award winners. A total of nine projects were awarded the high honor of “Best Project” in their respective categories. These projects will advance to a national competition to be considered for a “Best of the Best” national award. Best Project winners were also featured in the Nov. 9 issue of ENR New England.